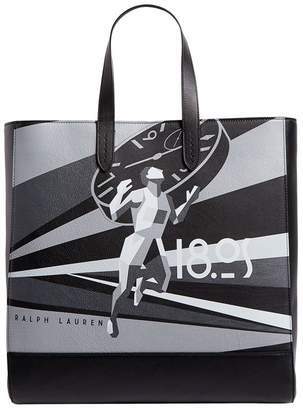 Overview Covered with a monochrome print depicting a striking running figure, this Ralph Lauren tote bag lends a superior edge to weekends away. Structured in leather with twin top handles for easy carrying, the spacious design is perfect for fitting in all your essentials. H37cm x L38cm x D14cm approx.